20.10.10. Книги на английском языке. Trinity Mirror North West "McCartneys: In the Town Where They Were Born"
Главная / Новости / Анонсы / Trinity Mirror North West "McCartneys: In the Town Where They Were Born"
The Beatles legend is one of the world's biggest stars, his timeless music still selling across the world as he continues to appeal to thousands of adoring fans across different generations. 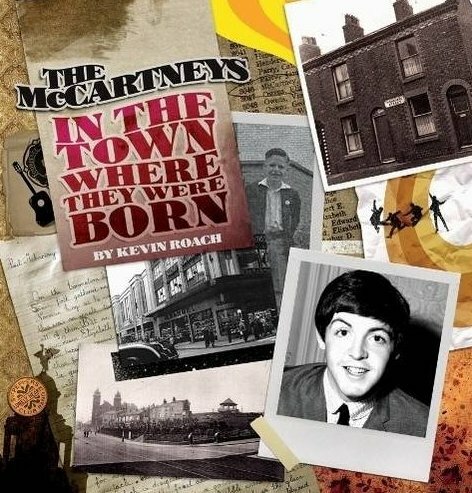 This book, for the first time, goes back to McCartney's roots, unveiling the secrets of his childhood and early life in Liverpool. With new research by Kevin Roach, some fascinating facts are revealed for the first time as the author takes fans back to where he once belonged. From McCartney's childhood home to the church where his mother and father were married and other stopping points of family interest, this book digs deeper than any other has previously done, telling the untold story of life before the Fab Four took the pop world by storm. It is a magical history tour waiting to take you away - and a must for Macca fans everywhere. Комментарии (2) - читать все комментарии в теме форума "Trinity Mirror North West "McCartneys: In the Town Where They Were Born"